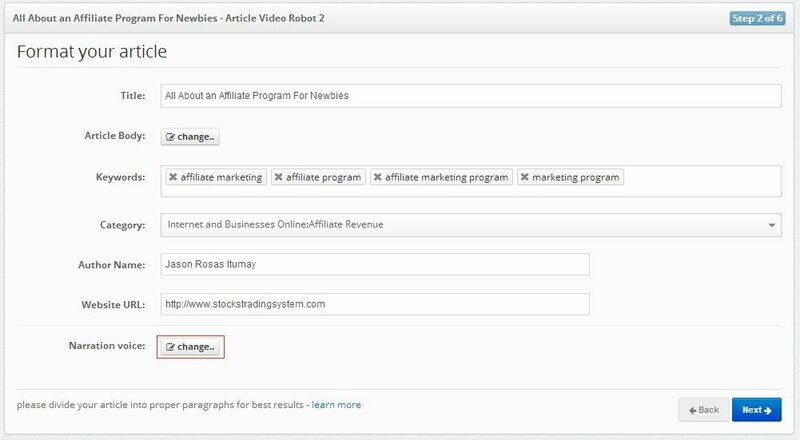 As we have already discussed, you can select the narration voice for your article from Step 2. If you need to change the narration voice for your video later you can re-open your project and change the narration voice. 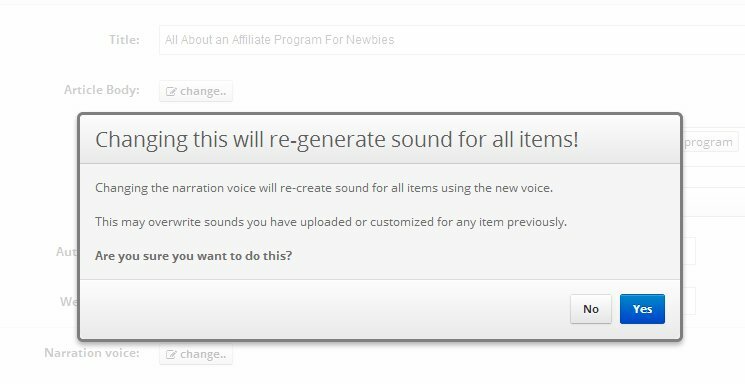 Please note that once you change the narration voice for your article, all your voice-over will be recreated in this new voice. You will receive a popup notifying you about the same. Once you click "Yes", you can select a new narration voice and all the audio files will be recreated in this voice.